We Buy Houses in Shorewood! Have One You Need to Sell Quickly? Want to Skip the Hassle? Want to deal with a Direct Buyer? Find Out Exactly How Much We Can Pay For Your House In Cash, and Close When You Want. Just Fill In This Form! Yes, Selling a House CAN BE THIS EASY! Just fill in this simple form and we will be in touch straight away. We promise to make selling your property as easy as possible! NO OBLIGATION. If you'd rather talk on the phone, give us a call (414) 488-0082. Cream City Home Buyers is a no-nonsense house buying company that buys houses in Shorewood and all throughout the Milwaukee metro area. We pride ourselves on our speed, professionalism, and integrity. If you’re serious about selling your house, we’re serious about buying it. We promise to never waste your time, and to always be as simple, straightforward, and transparent as possible. 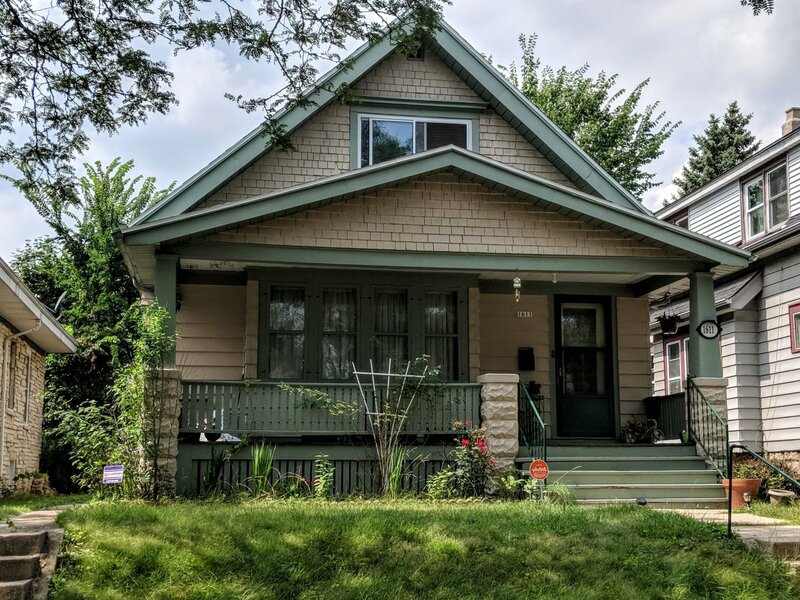 While we do any type of residential property, including multi-family dwellings of any size, our most common purchases in the Shorewood market are going to be duplexes and single family homes. In Shorewood we are most likely to buy, renovate, and re-sell homes to families. We buy houses and properties no matter the issues: foreclosure, fire damage, code violations, underwater on the mortgage, tenants not paying rent, inherited property, relocation, downsizing, upsizing, probate, and anything else. If your property doesn’t fit our criteria for any reason, we’re still here to help, and will be happy to connect you with serious buyers or brokers in our network. We will do our best to solve your problems. We never simply write Low Ball Offers because sellers are often in a difficult situation or need to sell fast. We promise to always give our Maximum Allowable Offer. We base our offers on the Market Value of the home and not the seller’s level of distress. We back into what we can offer based on the market value, the repairs needed, our minimum profit per deal, and our costs, and purchasing and selling costs. If you’d like to read more about our buying criteria or what exactly this process looks like in action, read How It Works. We never take advantage. Period. Our Team is on standby, ready to bring you an offer within 24 hours. You won’t need to worry about repairs, clean outs, commissions, or fees because we buy homes in Shorewood and the surrounding areas “AS-IS” – We take over those problems so you don’t need to. Contact us today at (414) 488-0082 for more information or a free consultation. We Offer More: While our competitors may make an offer based on how low they believe they can buy the house and pressure you into signing a contract, our offers are always our Maximum Allowable Offer. We want to give you as much as possible while still being able to conduct our business. We’re Honest and Transparent: Whether in the real estate industry or daily life, this is often very hard to find. We pride ourselves on our integrity and fair dealing. No mess and no bull. We tell it like it is and hope you can appreciate that. We Buy AS-IS: You’re probably on this site because you have a property you don’t want to deal with. While we may perform an inspection, we will never ask you to make any repairs and you’ll never be liable for the condition of the property. When we take it over, we take it AS-IS, end of story. Speed: Because we and our partners are using our own cash to buy houses, we can often close contracts in as little as 10-14 days. If you don’t want your property on the market for 1, 2, 3, or even 6 months, we can be a great option. We Close When You Want: While we have the ability to close very quickly, we don’t have to. If you need 30 or 45 or even 60 days to move out and put things in order, that’s perfectly fine. We have even rented property back to owners for a few months after we purchased the home so that they could use the cash from the sale to make their move. No Realtors, Commissions, or Fees: Because we’re buying directly, you won’t have to pay the 5 or 6% to sell your property through a Realtor. Discretion and Privacy: No sign in the yard, no open houses, and property photos, and no tours. You deal with us directly, privately, and confidentially. We’ve even bought houses where the owner didn’t want to inform the tenants. That’s perfectly fine with us, we can handle it. Quite simply, if you have a property you need to sell it… we’d like to make you a fair cash offer and close on it when you’re ready. Wait for us to contact you and set up a tour. Decide if you want us to buy your home. If you rather talk to someone in our office before submitting your information, just give us a call at (414) 488-0082.